Leading Manufacturer of brass tokens from Madurai. Carving a safe niche in todays' highly competitive market, we are offering an outstanding gamut of Brass Tokens to our esteemed patrons. We are a quality-focused organization and manufactured the offered products as per the international standards. For this, we have created an advanced manufacturing unit which is well-equipped with ultra-modernized machinery. 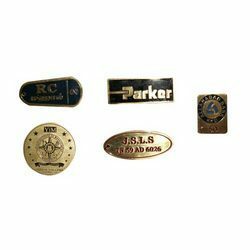 These tokens are suitable for printing any promotional message to advertise any product or event.